Deliciously refreshing on a hot day. Having spent the day working in the vegetable garden and brushing against the mint, it was destined for a super cooling drink! It’s beginning to smell a lot like Christmas! This will fill your kitchen with beautiful spicy aromas whilst you wrap your Christmas presents. Naturally sweet and deliciously spicy. 7 juices for 7 breakfasts. As part of my eat clean month I’m juicing fruit from the garden. And there is plenty! 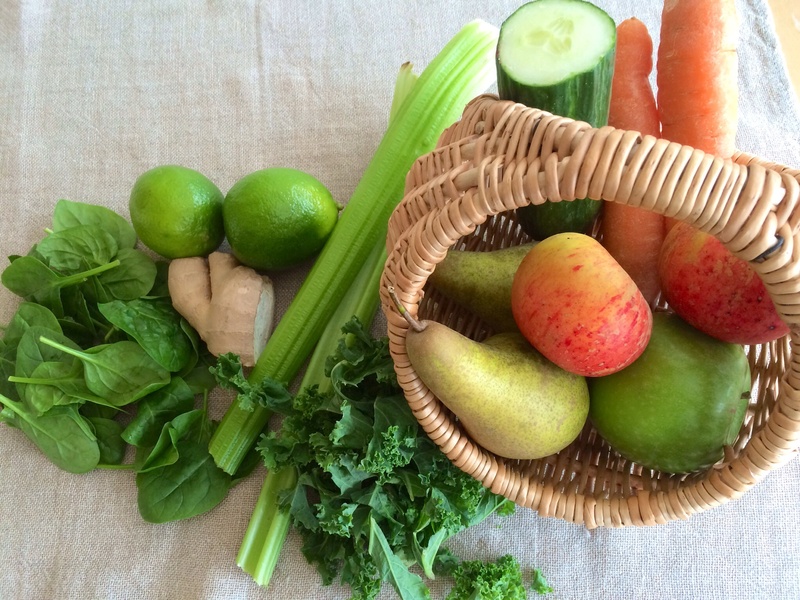 You’ve got to love picking fruit from the tree and juicing it. But even if you can’t pick your own, a few choice fruits mixed with vegetables and you’re getting a good start on your 5 a day. I’ve also found that juicing encourages me to eat well all day. Each recipe serves 1. I love having something interesting in the fridge to drink and flavoured water is so much more interesting than just plain water. So here are a few ideas! Allow the flavours to infuse for an hour or two in the fridge. You’ll soon be drinking lots of water! Strawberry and cucumber. Orange and fresh ginger. 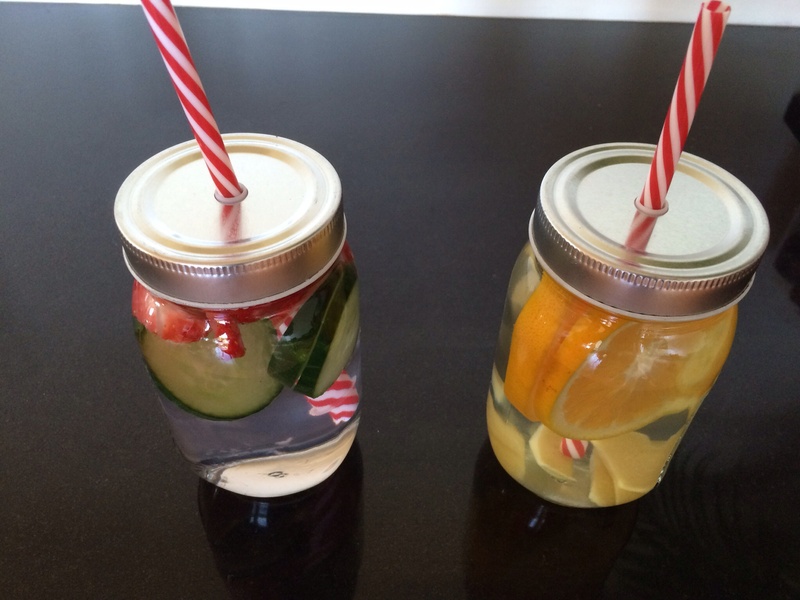 Slice a few strawberries and slices of cucumber and add to water. Peel a piece of fresh ginger, cut a few slices and add to the water with a couple of slices of orange. Chill. 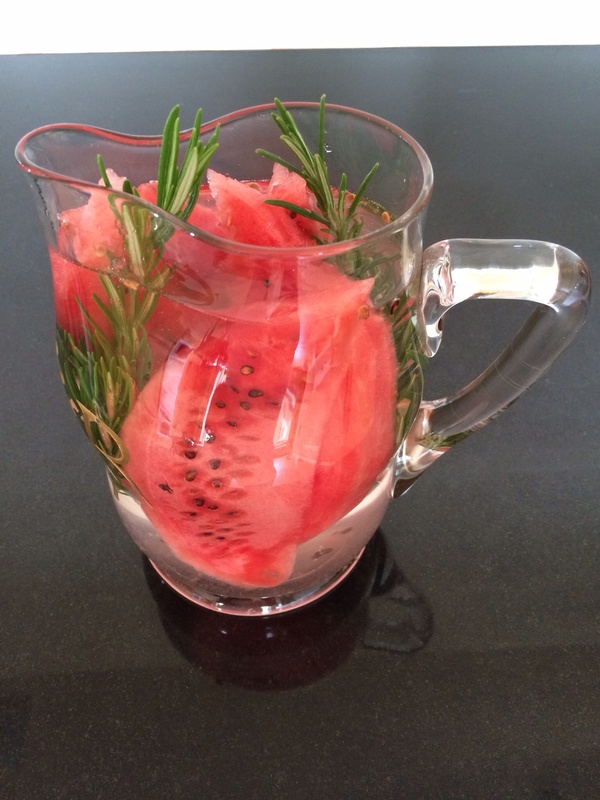 Cut a few chunks of watermelon, add a few sprigs of fresh rosemary to water and chill.